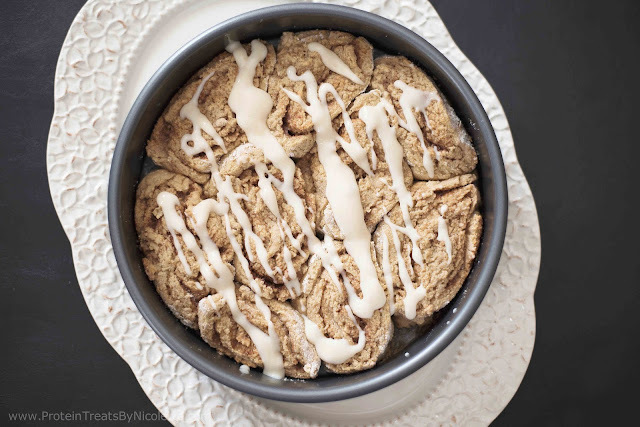 I mean who on earth doesn't get excited about warm, gooey cinnamon rolls!? Sometimes I wish I didn't love them so much. But that world doesn't exist. 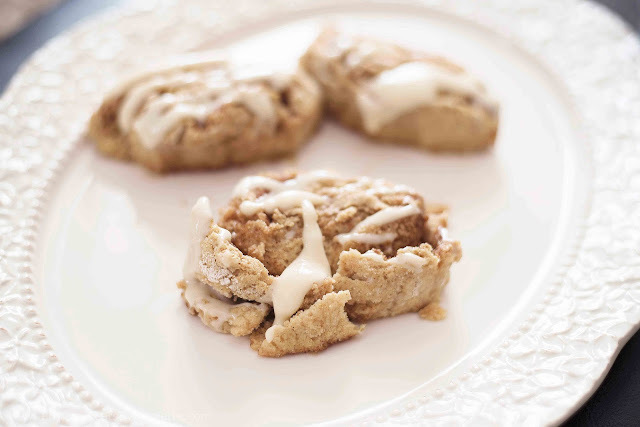 For a long time I've had protein cinnamon rolls on my "to-do" list. Once I sat down and typed the recipe, there wasn't a minute wasted! In the kitchen I went. Stirring, whisking, patting, rolling, sprinkling, slicing, making protein cinnamon rolls. Hallelujah! 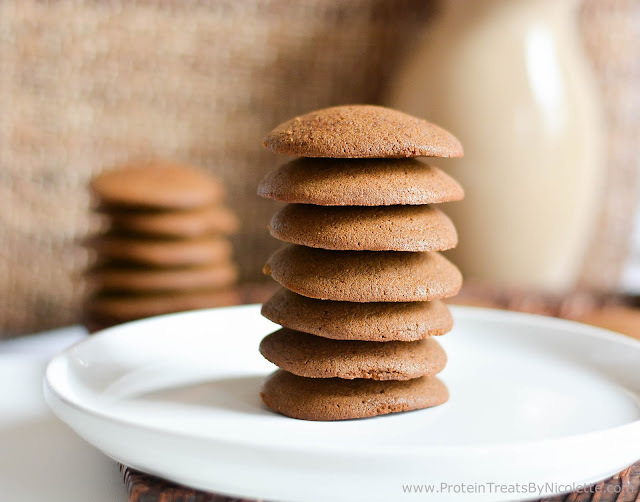 They are virtually sugar-free, high protein, and low carb. Much nicer on your figure than the store bought, or baker bought, cinnamon rolls. Also, what I hoped for - warm, gooey, and sweet! 1. Preheat oven to 350 degrees F. Spray a round cake pan with non-stick spray and set aside. 2. Place all dough ingredients into a mixing bowl and stir together until well combined. 3. Dump dough onto a flat, well-floured surface and sprinkle the dough with more flour to prevent it sticking to the rolling pin. Using the rolling pin, flatten and roll out the dough to form a long rectangle. *Since protein powder becomes very sticky when moisture is added to it, make sure to use a lot of flour when rolling it out and forming the rolls. 4. In another mixing bowl, stir together ¼ cup xylitol and 2 tablespoons cinnamon. Evenly sprinkle this mixture on top of the rolled out dough. Brush the melted ghee on top of xylitol/cinnamon mixture. 5. Roll up the dough into a log shape then slice into 10 sections, making 10 cinnamon rolls. 6. 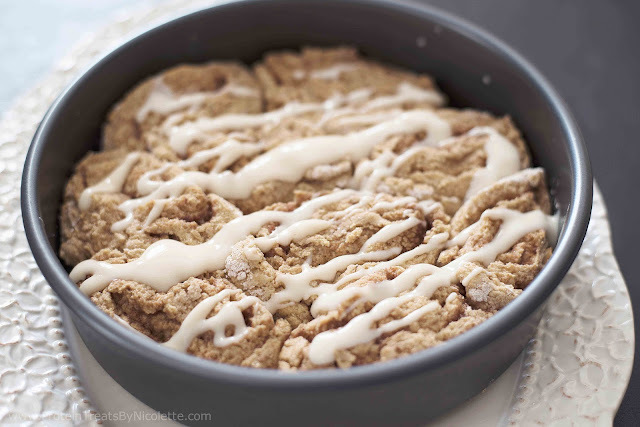 Place cinnamon rolls into the greased cake pan (cut side down) and bake in the oven for 16-20 minutes. 7. 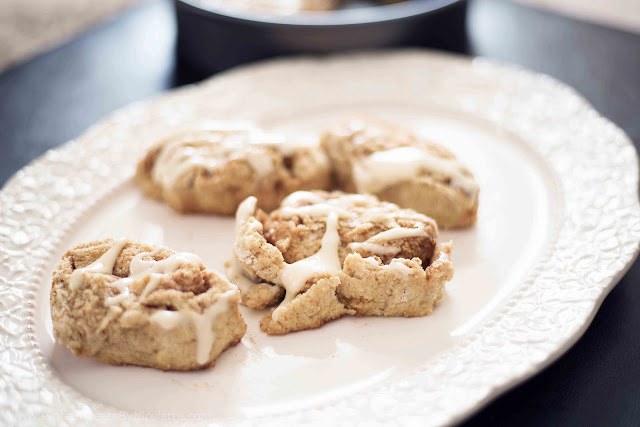 Whisk together the icing ingredients until smooth and drizzle on the cinnamon rolls when they’re done baking. Enjoy! * You may substitute ghee with coconut oil or regular unsalted butter. * You may substitute oat flour with regular AP or whole-wheat flour. 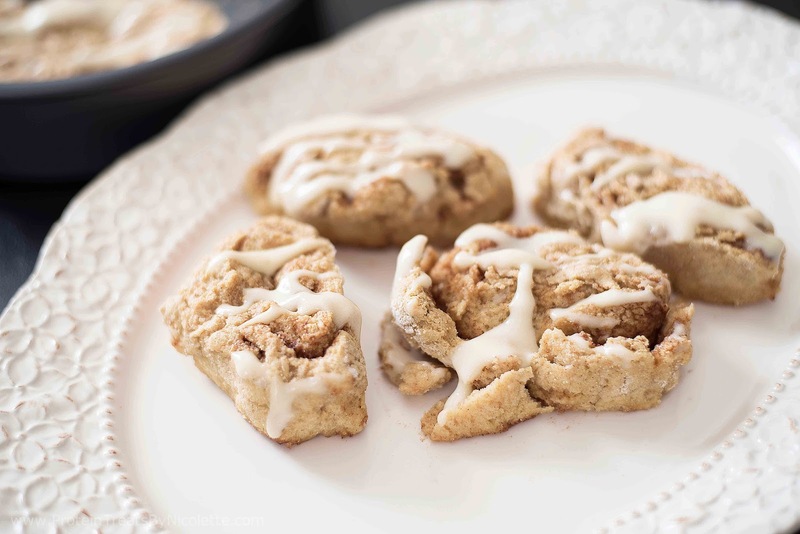 I loved cinnamon rolls as a kid--these look amazing! !